The person filling this position will be part of Experian North America R&D Data Lab concentrating on new data asset evaluation and acquisition as well as new product prototyping. This position requires extensive background and knowledge in machine learning and data mining. Previous experience in analyzing large datasets and developing data driven statistical models is desirable. Experience in text mining and online marketing is a plus. Experience with Hadoop and NoSQL related technologies such as Map Reduce, Spark, Hive, Pig, HBase, mongoDB, Cassandra, etc. 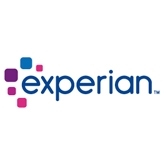 Want to get notified about new jobs at Experian?